Welcome back from winter break. I want to begin the New Year by thanking you, Penn’s unsurpassed faculty, students, staff, alumni, and friends, for all the good you do here and in the world. Together, we have propelled our University to unprecedented heights of inclusion, innovation, and impact. Together, we will do even more in the semester to come. We can gauge Penn’s rise by the world-improving and life-saving work of our faculty, such as the first-ever FDA-approved gene therapy treatment for cancer. We can measure our reach with rankings, with our University being named #4 in Reuters’ list of the top 100 most innovative universities in the world (up from #8 the previous year). Penn also moved up to #3 from #17 in the most recent National Science Foundation Education R&D Survey. We can also be enormously proud of the countless achievements of Penn students, faculty, and staff who, each year, bring great honor and recognition to our University. I want to briefly recognize just a few examples. Seniors Chris D’Urso and Zikri Jaafar recently earned prestigious Rhodes scholarships for graduate study at Oxford. They both share a passion for community engagement, human rights, and social justice, and their work embodies the finest attributes of Penn scholars who are working to make a profound difference in the world. Chris has focused on consumer protection and advocacy as the founder of Penn CASE (Consumer Assistance, Support & Education), which is providing education and support to local consumers in our community. He also has been actively engaged on the Task Force on a Safe and Responsible Campus Community. Zikri’s undergraduate research has focused on social-impact bonds. He also has done volunteer work with refugees and has been an ambassador for Penn’s Giving What We Can. Chris and Zikri are extraordinarily talented, engaged, and committed individuals who are deeply deserving of this preeminent recognition. Congratulations to our latest Rhodes Scholars! Penn also boasts seven new faculty inductees to the prestigious National Academy of Medicine (formerly called the Institute of Medicine). Representing SAS, Penn Nursing, and the Perelman School, these exceptional faculty have made seminal contributions to the advancement of the medical sciences, health care, and public health. I invite everyone to join me in congratulating Lewis Chodosh, Christos Coutifaris, Maria Oquendo, Michael Parmacek, Therese Richmond, Dorothy Roberts, and Flaura Winston. We are enormously proud as well of Penn’s four new faculty fellows of the American Association for the Advancement of Science, the world’s largest general scientific society. Representing SAS, the Perelman School, and Penn Vet, these extraordinary faculty have been honored for their scientifically and socially distinguished efforts. We congratulate Gustavo Aguirre, Daniel José Mindiola, Hongzhe Li, and Anil Rustgi. As we celebrate these and the many other accomplishments of Penn’s people, I want to remind our seniors and their mentors that the deadline for both the President’s Engagement Prize and the President’s Innovation Prize is January 19. These Prizes not only publicly recognize and reward creative projects that promote the greater good. They also proclaim our most cherished values as a university: to educate and support our students for meaningful leadership and lifelong citizenship. Each Prize bestows a generous living allowance for one year after graduation and up to $100,000 in project expenses. All full-time undergraduates who will graduate in May, August, or December of this award year are eligible to apply. I encourage seniors with a great idea to submit an application, and I very much look forward to receiving them. Embarking on the spring semester, I encourage all of us not only to celebrate the wonderfully diverse and creative community we call home, but also to be mindful of our own health and the wellbeing of those around us. We rightfully focus on the wellness of our students, but I want to emphasize that faculty and staff should also reach out if they are in need, take advantage of the resources available to the Penn community, and care for one another. I am grateful for all the students, faculty, and staff who are working so passionately on this important priority, and we will continue to do all that is possible to sustain a campus community in which everyone can thrive. To the entire Penn community: Welcome back to campus, and welcome to a bright new year at Penn! In a historic move, the U.S. Food and Drug Administration (FDA) recently approved a gene therapy initially developed by researchers at the University of Pennsylvania and Children’s Hospital of Philadelphia (CHOP) for the treatment of a rare, inherited form of retinal blindness. The decision marks the nation’s first gene therapy approved for the treatment of a genetic disease, and the first in which a new, corrective gene is injected directly into a patient. The therapy, known as LUXTURNA™ (voretigene neparvovec-ryzl), significantly improves eyesight in patients with confirmed biallelic RPE65 mutation-associated retinal dystrophy. Patients with RPE65 mutations suffer from severe visual impairment at infancy or early childhood, and by mid-life become totally blind. They previously had no pharmacologic treatment options. Spark Therapeutics, a Philadelphia biotechnology company created in 2013 by CHOP in an effort to accelerate the timeline for bringing new gene therapies to market, led the late-stage clinical development of LUXTURNA and built in West Philadelphia the first licensed manufacturing facility in the U.S. for a gene therapy treating an inherited disease. Spark was built on the foundational research conducted over a 10-year period by CHOP’s Center for Cellular and Molecular Therapeutics (CCMT). Those efforts were led by Jean Bennett, the F.M. 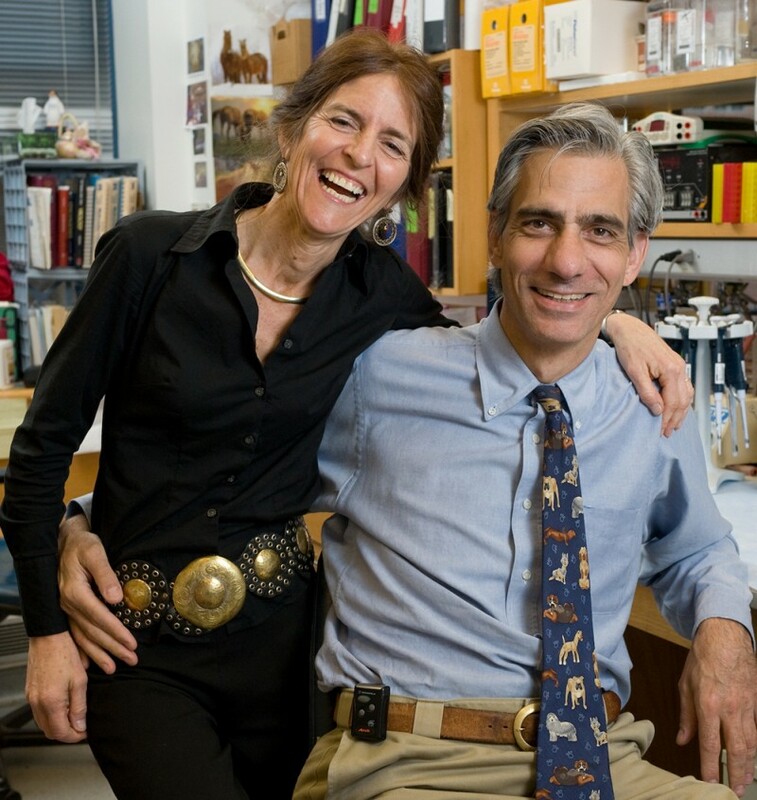 Kirby Professor of Ophthalmology at the Perelman School of Medicine at the University of Pennsylvania and Penn’s Scheie Eye Institute, and Katherine A. 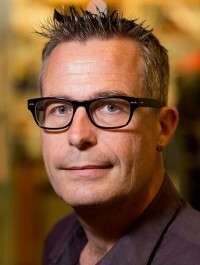 High, who directed the CCMT and now serves as Spark’s president and head of research and development. Albert M. Maguire, a professor of Ophthalmology at the Perelman School of Medicine and an attending physician at CHOP, served as the principal investigator of the clinical trials that led to the FDA approval. The approval is a culmination of more than 25 years of studies on congenital blindness by married-couple team Drs. Bennett and Maguire at Penn and CHOP, starting with pioneering work in mice and dogs. This marks the second FDA approval for a University of Pennsylvania/CHOP-developed therapy within six months. In August, the personalized cellular therapy known as Kymriah™ was approved for the treatment of advanced acute lymphoblastic leukemia in children and young adults (Almanac September 12, 2017). There are an estimated 1,000 to 2,000 patients in the United States with RPE65 mutations. The newly approved therapy will be available at select treatment centers across the nation. The one-time therapy corrects the deficits resulting from mutations in the gene RPE65, which is responsible for producing proteins that make light receptors work in the retina and vision possible. To restore production of those proteins, corrected versions of the RPE65 gene are delivered in a single injection, using a genetically engineered, benign adeno-associated virus to carry the genes to the retina. Within weeks, a patient’s vision can begin to improve. The FDA recommends the use of the therapy for patients ages 12 months and older. The Penn gene therapy work tightly links animal and human health, having begun in affected mice and dogs during the 1990s. In 2001, Bennett and Maguire and Penn colleagues Greg Acland, Tomas Aleman, Samuel Jacobson, and Artur Cideciyan reported they had successfully restored the sight of three blind dogs with a canine form of LCA, in collaboration with Cornell University’s Gus Aguirre (now a professor of Medical Genetics and Ophthalmology at the University of Pennsylvania School of Veterinary Medicine) and the University of Florida’s Bill Hauswirth. After the therapy, the dogs freely navigated through a dimly lit obstacle course, whereas before they would bump into objects. The first Penn/CHOP-led Phase 1/2 clinical studies began in late 2007, with a total of 12 patients ranging from eight to 46 years old, most of whom experienced vision improvements within weeks of receiving the therapy. Half of the patients improved enough to no longer be classified as legally blind. Those initial clinical trials brought together patients and scientists from Penn and the Second University of Naples in Italy and Ghent University Hospital in Belgium. The first three patients to receive the therapy in 2007 are all now in their 20s and 30s, and continue to enjoy their improved vision. Results presented in 2015 from a pivotal phase III trial of 29 patients aged four to 44, some of whom were treated at the University of Iowa, showed the therapy had significantly improved their ability to navigate an obstacle course designed to mimic daily activities in low light. The therapy dramatically restored most patients’ ability to see, increased their sensitivity to light, and improved their side vision, the researchers reported. In the trials, the gene therapy safety profile was consistent with vitrectomy and subretinal injection procedures. Side effects included cataracts, changes in intraocular pressure, changes in macular structure (macular thinning, macular pucker, macular hole), intraocular infection in one patient, and a reduction in visual acuity in one patient. To date, a total of 41 patients have been treated with the therapy at CHOP and Iowa. Many of them are now reading the chalkboard, grocery shopping, taking driver’s license tests, having more job opportunities, and recognizing people’s faces, among other activities that seemed impossible before. “It has been amazing watching them grow up,” Dr. Bennett said. “It’s like they are an extended part of our family.” Drs. Bennett and Maguire have also adopted two dogs, Mercury and Venus, that were part of early trials of the new approach. A gene therapy clinical trial that delivers a corrected gene in patients with wet macular degeneration, for instance, is already underway at centers including the Scheie Eye Institute. Today, patients with this disorder must receive injections of a much-needed protein once a month. Using gene therapy could bring that down to just a single injection. Similar types of therapy may also help treat other diseases, such as hearing-related problems and muscular dystrophy, for example. Additional contributors to the research include Jeannette Bennicelli, J. Fraser Wright, Jennifer Wellman, Federico Mingozzi, Manzar Ashtari, Junwei Sun, Kathleen Marshall, Nadine Dejneka, Vibha Anand, Arkady Lyubarsky, Valder Arruda, Ken Shindler, Dan Chung, Sarah McCague, Dominique Cross, Julie DiStefano-Pappas, T. Michael Redmond, Kristina Narfstrom, Julia Haller, Alberto Auricchio, Enrico Surace, Tim Hopkins, Tonia Rex, Eric Pierce, Michael Ward, Ali Zaidi, Jason Ruggiero, Dina Gewaily, Edwin Stone, Francesca Simonelli, Bart LeRoy, and Stephen Russell. Provost Wendell Pritchett announces the formation of an ad hoc consultative committee to advise him on the selection of the University’s next Vice Provost and Director of Libraries. H. Carton Rogers, who has served as Vice Provost and Director of Libraries since 2004 and worked in the Penn Libraries since 1975, will retire from Penn at the end of this academic year. The committee welcomes nominations and input from all members of the Penn community, which can be sent to provost@upenn.edu by February 28, 2018. The University of Pennsylvania is closed on Monday, January 15, in observance of Martin Luther King, Jr. Day. 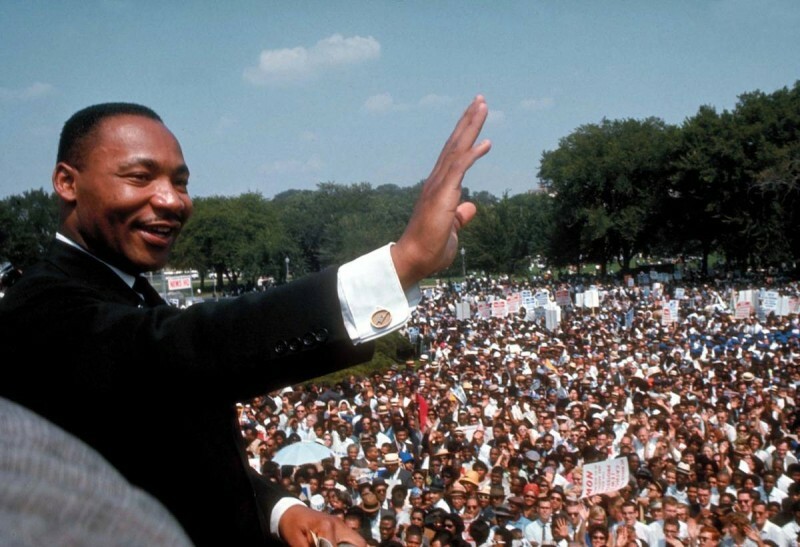 The Dr. Martin Luther King, Jr. Commemorative Symposium on Social Change begins with the January 15 Day of Service and continues with events taking place through January 31. During the administration of Penn President Judith Rodin, the University then made MLK Day an official holiday at Penn as of January 2001, making it “a day on not a day off.” It was then that the annual Day of Service was launched as part of the extensive Commemorative Symposium (Almanac December 12, 2000). Penn’s Commitment to the Legacy: 2018 Dr. Martin Luther King Jr. Commemorative Symposium on Social Change includes opportunities for service, lectures, performances, an interfaith program and awards ceremony. The Symposium is coordinated by the African-American Resource Center, (215) 898-0104. Events are free and open to the community. A Cultural Diplomacy Conference for Middle School Students presented by the World Affairs Council of Philadelphia and the Penn Museum is the kick-off event of a rigorous Student Diplomat/Jr. Model United Nations Program, a five-month series of programs introducing students from around the Greater Philadelphia area to the world of international relations and cultural diplomacy. With an emphasis on developing students’ research, writing, and communication skills, the Student Diplomat Program meets a growing demand for international affairs curricula in area middle schools, preparing students for successful futures in an increasingly interconnected world. Students come to the University of Pennsylvania Museum of Archaeology and Anthropology on one of three days (250 students per day) in early January. At the Penn Museum, students will be introduced to a wide and culturally diverse world beyond their classroom walls, via docent tours of the renowned international collections and conversations with Museum International Classroom speakers from China, Greece, and Kenya, and archaeologists who have spent extensive time in Egypt and Italy. The conference program includes a keynote welcome and closing from World Affairs Council speakers, setting the stage for intercultural learning and framing the lessons that will follow in the spring semester. The World Affairs Council, a non-profit organization whose mission is to create global citizens, devotes much of its energy to education. The Cultural Diplomacy Conference is for middle school students from all across the region in an effort to educate and prepare them to contribute to and succeed in a 21st century learning environment. The World Affairs Council brings students from public, private and charter schools around the Greater Philadelphia area together to debate and discuss issues of global importance. Herbert Goldberg, professor emeritus of radiology at the University of Pennsylvania School of Medicine, died on March 26, 2017. He was 86. In 1967, he was an professor of radiology, in 1971 he became an associate professor, in 1974 an assistant clinical professor and in 1976 a professor of radiology at the Hospital of the University of Pennsylvania in the clinician-educator track of the associate faculty. Dr. Goldberg became a professor of radiation oncology in 1978. He also served as a professor of neurosurgery from 1984-1999. Dr. Goldberg graduated from the University of Vermont College of Medicine in 1956 then did an internship at Bellevue Hospital and a residency at Presby Medical Center as well as a fellowship at New York Presbyterian Hospital-Columbia Presbyterian Center. He joined the 25-Year Club at Penn in 1992 (Almanac November 3, 1992). He retired and became professor emeritus of radiology in 1998 (Almanac June 16, 1998). He was married to the late Rosalie Burns for 57 years. She died in 2015. He is survived by his children, Laura Raab and Alan (Joan); four grandchildren; and one great-grandchild. Lynn Kimmelman Manko, former staff member in Penn’s Facilities and Real Estate Services, died on January 1. She was 75 years old. Ms. Manko came to Penn in 1977 to fill the newly-created position of assistant to the director of athletics for promotion and group sales. She went on to serve as the assistant to the director of Physical Plant and became a facility manager before leaving Penn. Previously, Ms. Manko conducted events for the National Junior Tennis League of Philadelphia and coordinated ticket sales for the U.S. Professional Indoor Tennis Championships. She had a degree from Boston University. At the time of her death, Ms. Manko was serving as the chair of volunteer annual giving and vice chair of the central committee of the Philadelphia Orchestra Association and a member of the boards of directors for the Mural Arts of Philadelphia and the Symphony House Condominium Association. She is survived by her husband, Joseph Sr., a former adjunct at Penn Law; children, Joseph Jr. (Jennifer Porges), Glenn and Wendy Singer (Steven); and grandchildren, Dean and Alexandre Porges Manko, Mackenzie and Sydney Manko, and Sarah and Sofia Singer. Salvador Minuchin, a pioneer in the field of family therapy who was a professor of pediatrics at University of Pennsylvania, died on October 30 at age 96. Dr. Minuchin’s work “helped redefine the role of a therapist,” according to The New York Times. He was born in San Salvador, Argentina, to Jewish immigrants from Russia. He was inspired by a high school teacher to help young delinquents and was jailed for several months for his participation in leftist protests opposing the military government’s seizure of Argentine universities. He earned a medical degree from the National University of Córdoba in Argentina and then enlisted in the Israeli Army in 1948. He studied child psychiatry and psychoanalysis in New York and went to Israel to treat Holocaust orphans and children displaced by wars. He then worked as a child psychiatrist at the Wiltwyck School for delinquent boys in the Hudson Valley, where he developed the theory of what became known as Structural Family Therapy. He joined Penn and was also the director of psychiatry at the Children’s Hospital of Philadelphia and from 1965-1975 he was the director of the Philadelphia Child Guidance Clinic. He took on a secondary appointment as professor of pediatrics in 1969. In 1984, he became clinical professor of child psychiatry in the associate faculty of Penn’s School of Medicine. He retired from the clinic in 1975 and was director emeritus and head of training there until 1983. In 1981, he returned to New York and established the Family Studies Institute, a nonprofit training center for therapists now known as the Minuchin Center for the Family. Dr. Minuchin retired in 1996 and eventually settled in Florida, where he continued to teach and write. His wife, Patricia, a psychologist and author, died in 2015. He is survived by a son, Daniel; a daughter, Jean; a granddaughter; and a sister, Sara Itzigsohn. William Steinberg, an 18-year-old freshman at University of Pennsylvania, died along with his family in a plane crash in Costa Rica on December 31. According to The New York Times, William was traveling with his parents, Bruce and Irene; and his brothers, Matthew and Zachary, from the resort town of Punta Islita on the Pacific coast to San José, the capital of Costa Rica when the plane crashed, killing everyone on board. The family was from Scarsdale, New York, and was on the last stop of a vacation before they planned to return home. William was a student in the Class of 2021 who lived in Ware College House, where he was on the board of the Research, Innovation and Entrepreneurship Residential Program. He participated in PennQuest, a four-day outdoors experience for first-year students, and was involved with Seeds of Peace, an organization that promotes leadership to foster peace in communities around the world, and the International Affairs Association. According to the Times, Mr. Steinberg worked in investment banking; Ms. Steinberg volunteered at many nonprofits; Matthew was in eighth grade; and Zachary was a sophomore at Johns Hopkins University. The Steinbergs are survived by William’s paternal relatives: grandparents, Irwin and Diane; aunt, Tamara Jacobson (Alan) and cousins, Laura, Alexandra and Elizabeth; and maternal relatives: grandparents, Alan and Marjorie Ginsberg; and uncle, Robert Ginsberg (Rebecca) and cousins Noah and Ben. A campus memorial will be held today, January 9 at 4 p.m. in the Class of ‘49 Auditorium, second floor, Houston Hall. Marilyn (Mimi) Ware, CW’67, retired U.S. ambassador to the Republic of Finland, former Trustee of the University of Pennsylvania Health System and former Penn Medicine Board member, died on December 14. She was 74. She was a graduate of the University of Pennsylvania College for Women, earning a degree in 1967. Early in her career, Ambassador Ware was a freelance journalist, public relations consultant, and small newspaper owner. She began a career in politics as a county chairperson in Lancaster County, Pennsylvania where she helped win 12 of the 13 county offices in her first year. She was the only woman in America at the time to have led two gubernatorial races in one of the five largest states when she served as Chair to Pennsylvania Governor Tom Ridge’s successful gubernatorial campaigns. Ambassador Ware served as Chair of the Board of American Water Works Company from 1998-2003. Throughout her career, she also served on the boards of CIGNA, IKON Office Solutions and PPL Corporation. In 2002, President George W. Bush appointed her to serve on the National Critical Infrastructure Advisory Council, a position that she held until 2005. She served as the U.S. Ambassador to the Republic of Finland from 2005 to 2008 while maintaining homes in Denver, Colorado, and Strasburg, Pennsylvania. Beginning in 1991, Ambassador Ware served Penn as a member of the Trustee Board of the Medical Center and of the Board of Overseers of the School of Medicine. In 1993, she became a member of the University of Pennsylvania Health System Trustee Board and in 1995, she joined this board’s executive committee. She had completed all of her terms in these positions by 2002, when she became a member of the Penn Medicine Board as well as its executive committee. 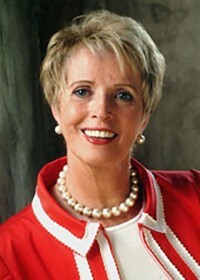 She held the committee position until 2005 and the board position until 2007. She contributed to a number of other nonprofit boards and committees, including the Eisenhower Fellowships in Philadelphia, the Pew Oceans Commission, the National Council of the Conservation Fund, the International Democrat Union, and the Human Freedom Advisory Council of the George W. Bush Institute. She was the founding member and Honorary President of WaterAid America; a founder of Janus School, a private day school for children with learning disabilities; and co-founder of Lancaster Farmland Trust in PA, the most successful farmland preservation trust in the nation. In 2008, Ambassador Ware produced the award-winning documentary The Surge: the Untold Story. She was a longtime trustee of the American Enterprise Institute, where in 2012 she established the Marilyn Ware Center of Security Studies to support and advance America’s historic role as a beacon of freedom and a leader in security and defense worldwide. Ambassador Ware followed in the footsteps of her parents, the late Congressman John H. Ware, III, W’30, and the late Marian S. Ware, philanthropists who supported Penn for many years. Marian S. Ware, along with the Oxford Foundation established the John H. Ware 3rd Professorship in Alzheimer’s Research at Penn in 1999; and in 2004 she donated $6 million to establish the Marian S. Ware Alzheimer Program at Penn Medicine to advance drug discovery, clinical research, and patient care related to Alzheimer’s disease (Almanac February 3, 2004). She is survived by her children, Mark Strode (Lisa), Amyla Lavric and Scott Strode; four granddaughters, Isabella, Matea, Julia and Vivian; her brother, Paul Ware; and sister Carol Ware. In lieu of flowers, contributions to support Alzheimer’s Research at Penn Medicine may be made to the Marilyn Ware Memorial Fund. Peter Struck, professor and chair of the department of classical studies at University of Pennsylvania, was recently awarded the Society for Classical Studies’ Charles J. Goodwin Award of Merit. Dr. Struck, the Evan C Thompson Term Professor for Excellence in Teaching, was recognized for his most recent book, Divination and Human Nature: A Cognitive History of Intuition in Classical Antiquity. This is his second time receiving the Goodwin Award, having also been awarded for his first book, Birth of the Symbol: Ancient Readers at the Limits of Their Texts. Penn doctoral candidate Opeyemi Akanbi is one of two winners of the Yale Law Journal’s inaugural Student and Recent Graduate Essay Competition. The competition encourages legal scholars to examine and interpret developing legal challenges. This year’s competition focused on burgeoning issues at the intersection of law and technology, including but not limited to: surveillance, cybersecurity, digital speech, artificial intelligence and privacy. Ms. Akanbi’s essay, “Policing Work Boundaries on the Cloud,” explores the shifting conceptualization of labor in the digital age due to increased use of cloud computing software. The essay looks at the way applications like Slack, Workplace, and Teams can be reconciled with current labor laws. While the applications can blur work boundaries, labor laws are based on a separation between work and nonwork. Ms. Akanbi is a doctoral candidate at the Annenberg School who studies media policy issues like net neutrality and the use of digital media technologies in the context of labor and privacy. She is a graduate of Harvard Law School and Benjamin Cardozo School of Law and is a member of the New York bar. As a winner of the essay competition, Akanbi’s paper will be published in the Yale Law Journal Forum, and she will receive a monetary prize. Stephen Hudis, clinical associate professor of periodontics at Penn Dental Medicine, was recently appointed vice president of the American College of Prosthodontists (ACP) for a one year term. Dr. Hudis joined ACP in 1980 and has contributed to fundraising and has served on several of its task forces. He maintains a private practice in Princeton, New Jersey. Noam Lior, professor of mechanical engineering & applied mechanics in Penn’s School of Engineering and Applied Sciences, was named a full member of the Club of Rome. The Club of Rome is an interdisciplinary, international think tank dedicated to sustainability issues. Full members have voting privileges and contribute to the Club of Rome’s initiatives. Dr. Lior was elected to the Club of Rome in 2013 (Almanac March 26, 2013). Ajay Nair, former Senior Associate Vice Provost at the University of Pennsylvania, has been named president of Arcadia University. Dr. Nair was associate director and instructor in Penn’s Asian American Studies Program, as well as director of the Pan-Asian American Community House (PAACH), from 2002-2006. He returned to Penn as Senior Associate Vice Provost for Student Affairs from 2008-2012 (Almanac July 15, 2008). 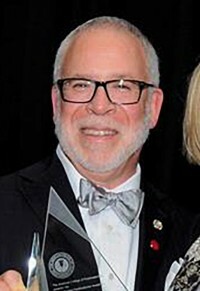 While at Penn, he founded the Stduent Affairs Leadership Team and helped create a development and alumni relations program for the University Life Division. 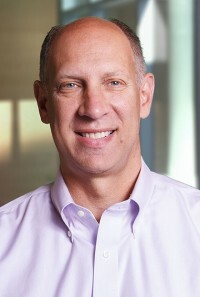 He previously held positions at Columbia University, Penn State University and University of Virginia. Most recently, Dr. Nair was senior vice president and dean of campus life for Emory University. The University of Pennsylvania’s Netter Center for Community Partnerships recently honored Eduardo Padrón, president of Miami Dade College, with its Lifetime Achievement Award. Dr. Padrón, who holds a PhD from the University of Florida, arrived in the United States as a teenage refugee in 1961. He became president of Miami Dade College in 1995 and is credited with elevating MDC to a position of national prominence. He was awarded the Presidential Medal of Freedom in 2016. The Nursing Informatics Working Group of the American Medical Informatics Association (AMIA) recently recognized two papers authored by Penn faculty at its national symposium in November. Kathryn Bowles, professor and the vanAmeringen Chair in Nursing Excellence at Penn Nursing, received the Harriet H. Werley Award for the paper, Nurse Generated EHR Data Supports Post-Acute Care Referral Decision Making: Development and Validation of a Two-step Algorithm. The Harriet H. Werley Award honors the paper presented at the symposium that makes the greatest contribution to advancing the field of nursing informatics. The paper’s co-authors included Penn Nursing’s Mary Naylor, Susan Keim, Sheryl Potashnik, John Holmes and Emilia Flores, as well as PSOM’s Sarah J. Ratcliffe. Ms. Keim, a lecturer and director of Penn Nursing’s graduate Nursing & Healthcare Administration & Leadership programs, also was honored with the 2017 Nursing Informatics Working Group Student Award for the paper, Comparison of Algorithm Advice for Post-acute Care Referral to Usual Clinical Decision-making: Examination of 30-day Acute Care Utilization. The award recognizes a student who demonstrates excellence in nursing informatics and who has the potential to contribute significantly to the discipline. Louis J. Soslowsky, the Fairhill Professor of Orthopaedic Surgery in the Perelman School of Medicine at the University of Pennsylvania, has been chosen by the American Society of Mechanical Engineers (ASME) to receive the H.R. Lissner Medal. The Medal recognizes outstanding achievements in the field of bioengineering and is widely viewed as the highest honor in the bioengineering community. Dr. Soslowsky is an expert in orthopaedic bioengineering and functional tissue engineering whose research focuses on soft connective tissue and joint mechanics, seeking to identify the causes of tendon and ligament injury, healing, repair, and regeneration. He also studies shoulder joint mechanics, examining relationships between tissue injury and joint loading in normal and abnormal states. Dr. Soslowsky will deliver a plenary lecture and receive his award at the World Congress of Biomechanics in Dublin, Ireland this summer. The H. R. Lissner Award is named in honor of professor H. R. Lissner of Wayne State University for his pioneering work in biomechanics, which began in 1939. 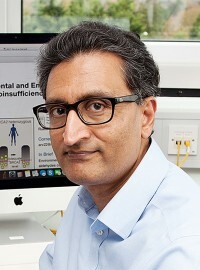 The Basser Center for BRCA at Penn’s Abramson Cancer Center recently announced that Ashok Venkitaraman, the Ursula Zoellner Professor of Cancer Research and director of the Medical Research Council (MRC) Cancer Unit at the University of Cambridge, is the recipient of its fifth annual Basser Global Prize. The Basser Global Prize recognizes a leading scientist who has conceptually advanced BRCA1/2-related research that has led to improvements in clinical care. Dr. Venkitaraman’s laboratory showed the critical role that BRCA2 plays in repairing the human genome and how mutations in BRCA2 lead to genome instability, which accelerates cancer development. Dr. Venkitaraman will receive the award and present the keynote address at the annual Basser Center for BRCA Scientific Symposium in May. The Basser Global Prize provides $100,000 in unrestricted support of the winner’s BRCA1/2-related research efforts, a Basser trophy, and $10,000 cash prize, which will be awarded at the symposium. Boris Striepen, professor of pathobiology at Penn Vet, recently received the William Trager Award for Basic Parasitology from the American Committee of Molecular, Cellular and Immunoparasitology. The award is named in honor of malaria research pioneer William Trager and recognizes scientists who have made a fundamental breakthrough in basic parasitology that allows for new areas of investigation. Dr. Striepen joined Penn Vet’s faculty in July. He studies Cryptosporidium, a microscopic single-celled parasite that can cause gastrointestinal illness, with a focus on the isolation and genetic manipulation of Cryptosporidium to identify and validate effective drug treatments. 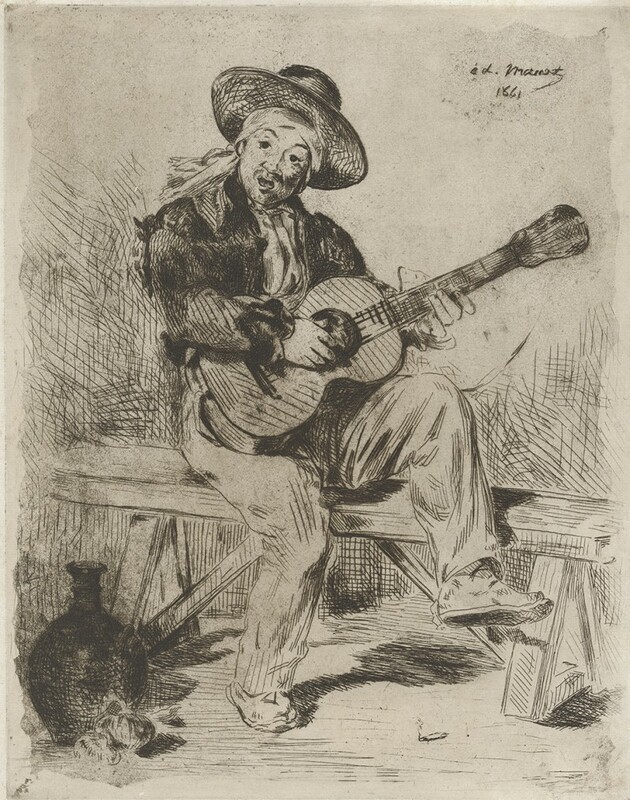 The Arthur Ross Gallery of the University of Pennsylvania is pleased to present Impressions in Ink: Prints from the Arthur Ross Collection (January 13-March 25, 2018) of 30 exceptional prints by French Impressionists and Post-Impressionists that includes Cézanne, Degas, Gauguin, Manet, Matisse, Pissarro, Renoir, and Toulouse-Lautrec, drawn from the superb collection of the Gallery’s founder, Arthur Ross (Almanac September 18, 2007). The exhibition, which includes a national symposium and interdisciplinary programs, inaugurates the Arthur Ross Gallery’s 35th Anniversary year (Almanac February 1, 1983). Curated by Lynn Marsden-Atlass, the exhibition is organized with Yale University Art Gallery and all works are lent from The Arthur Ross Collection, Yale University Art Gallery. Thursday, January 25, 5:30 p.m.; Conversation: Kaja Silverman, Sachs Professor in Contemporary Art, and photographer/artist Clifford Ross; light refreshments. Tuesday, January 30 and Friday, March 16, 1-2 p.m.; Art Reset With Lauren Altman, MFA’18. Saturday, February 10, noon-3 p.m.; Printmaker Pop-Up Market. First Wednesdays February 7 and March 7, noon, 12 @ 12—an inspiring gallery talk in 12-minutes flat! As the Arthur Ross Gallery begins celebrating its 35th anniversary, here’s a look back at how the Almanac featured some of the gallery’s more than 250 exhibitions. The Disasters of War: La Tauromaquia, Spanish Entertainment, and Other Prints of Francisco Goya (Almanac February 1, 1983). The Silent Language of Guatemalan Textiles (Almanac January 15, 1985). Women in Ancient Egypt From a Century of Excavation by The University Museum (Almanac February 3, 1987). Penn Prints: Thirty Years of Printmaking at the University of Pennsylvania (Almanac November 6, 1990). Graced Places: The Architecture of Wilson Eyre (Almanac March 15, 1994). The Affair of Art: Three Views (Almanac September 20, 1994). Constructing Penn: Heritage, Imagination, Innovation (Almanac October 25, 1994). Mary Ellen Mark: 30 Years (Almanac May 7, 1996). Confronting Cancer Through Art (Almanac June 18, 1996). The Fragrance of Ink: Korean Literati Paintings of the Chosen Dynasty (1392-1910) (Almanac November 18, 1997). Sargent to Freud: Modern British Paintings and Drawings in The Beaverbrook Art Gallery (Almanac November 3, 1998). Transformation: Jews and Modernity (Almanac April 10, 2001). Sam Maitin: A Life in Art (Almanac January 11, 2005). Hitoshi Nakazato: Print Series (Almanac May 8, 2007). The Mennonites: Photographs by Larry Towell (Almanac July 17, 2007). Treasured Pages: Medieval and Renaissance Manuscripts from the Free Library of Philadelphia (Almanac October 16, 2007). The Making of a Room: Louis Kahn Furniture and Interiors (Almanac February 24, 2009). West Philadelphia: Building a Community (Almanac September 29, 2009). Laughing Matters: Soviet Propaganda in Khrushchev’s Thaw 1956-1964 (Almanac April 6, 2010). An American Odyssey: The Warner Collection of American Art (Almanac September 27, 2011). Lauren Greenfield’s Girl Culture (Almanac April 5, 2011). Double Take: Series, Multiples and Prints (Almanac November 22, 2011). California Impressionism: Masters of Light from The Irvine Museum (Almanac September 25, 2012). Creating: Quilts of the Lakota (Almanac February 5, 2013). On the Wings of Eagle and Raven: Tlingit and Haida Traditions (Almanac April 1, 2014). Shared Vision: The Myron A. and Anna Jaffe Portenar Collection (Almanac September 9, 2014). Paul Strand: The Mexican Portfolio (Almanac January 27, 2015). Courtly Treasures: The Collection of Thomas W. Evans, Surgeon Dentist to Napolean III (Almanac July 14, 2015). 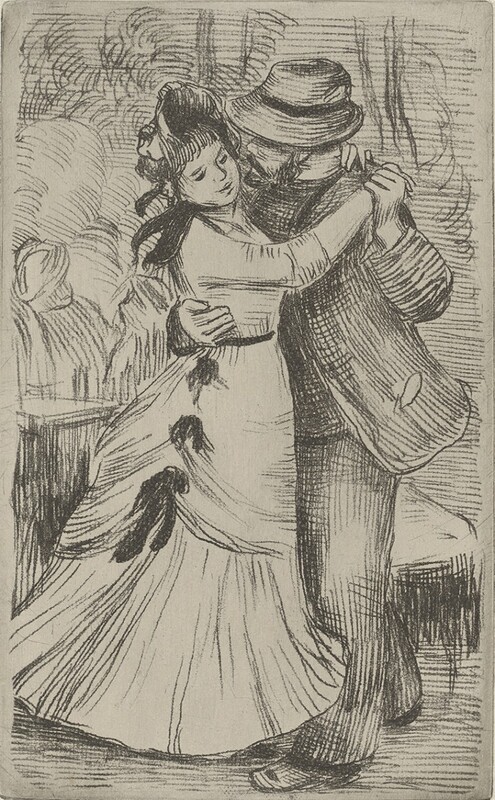 Expanding the Audience for Art in the 19th Century at The Pennsylvania Academy of Fine Arts (Almanac March 29, 2016). Darkwater Revival: After Terry Adkins (Almanac September 13, 2016). Landscape/Soundscape (Almanac January 10, 2017). Willie Cole: On-Site (Almanac April 18, 2017). A View of One’s Own: Three Women Photographers in Rome- Ester Boise Van Deman, Georgina Masson, and Jeannette Montgomery Barron (Almanac September 5, 2017). Thursday, March 15, 1:30-6 p.m.
To register, contact Meg Pendley: pendoley@upenn.edu (215) 898-2083. Additional support for the exhibition is provided by Mrs. Arthur Ross, the Patron’s Circle of the Arthur Ross Gallery, the Dolfinger-McMahon Foundation, the Philadelphia Cultural Fund, and the Pennsylvania Council on the Arts. The Arthur Ross Gallery is located at 220 South 34th Street, (located in the Fisher Fine Arts Library Building), and is free and open to the public. Hours: Weekdays 10 a.m.-5 p.m.; Weekends noon-5 p.m. Closed Mondays. Visit on Facebook and Twitter. To reserve a group tour please contact us at pendoley@upenn.edu or (215) 898-2083. Additional information is available at arthurrossgallery.org or (215) 898-2083. 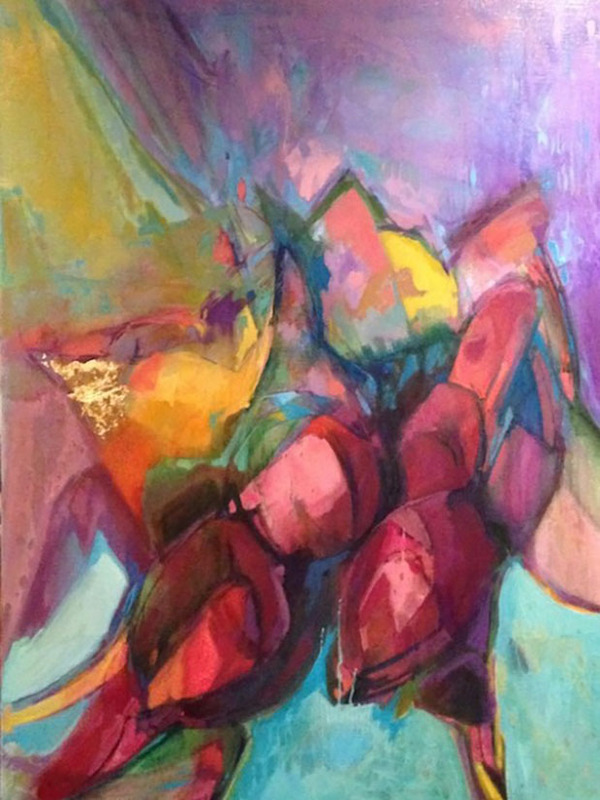 The Burrison Gallery in the University Club at Penn is showcasing Natural Abstract: Paintings by Rebecca Jacob. Ms. Jacob, a staff member in Facilities & Real Estate Services, captures images with careful use of color. The opening reception takes place Thursday, January 11 from 4-6 p.m. The exhibit runs through February 1. 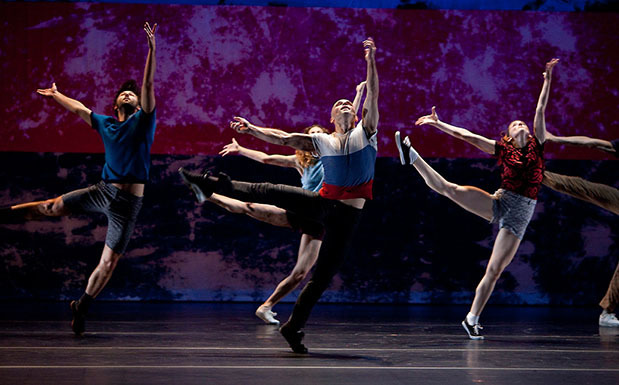 L.A. Dance Project makes its Philadelphia headline debut January 12-13 at the Annenberg Center’s Zellerbach Theater. This collective of contemporary dancers has already turned heads with its fresh vision of contemporary dance and eclectic repertory. Performances start at 11 a.m. January 12 for grades K-12 as part of the Arts4Youth series. Call (215) 573-8827 to register. The Penn Museum Archives’ exhibit, “What in the World?” Early Television Meets the World of Archaeology, 1950-1966, is being presented in conjunction with the University of Pennsylvania Provost Office’s Year of Innovation. The new exhibit looks back at the pioneering Penn Museum television program that aired on WCAU Philadelphia for more than a decade and was syndicated nationally by CBS from 1951-1955. 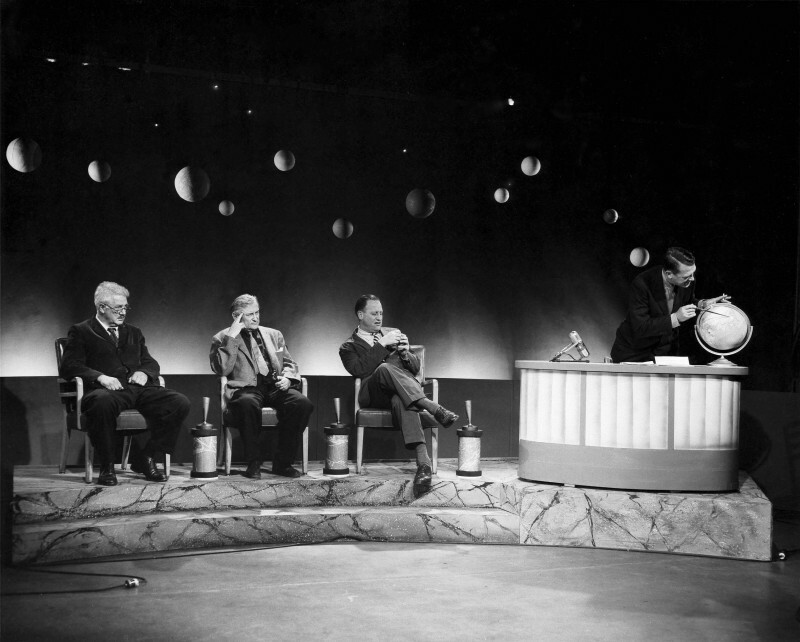 By means of photographs, letters, other documents and video clips, the exhibition focuses on the highly original game show that aired in the early days of television. Hosted by Penn Museum Director Froelich Rainey, the program featured a changing panel of experts from diverse fields, who worked together to puzzle out “Where in the World” an artifact from the Museum’s collections came from. The exhibit runs through March 5. 14 Young Artists Brain Art Workshop; free workshop for children 6 and older that is part of the art exhibition Networks Within and Around Us; 1:30-3 p.m.; register: https://esther-klein-gallery.ticketleap.com/young-artists-brain-art-workshop (Esther Klein Gallery). 13 Impressions in Ink: Masterworks from the Arthur Ross Collection; celebration of the Arthur Ross Gallery turning 35; opening reception: January 12 from 5-7:30 p.m. Through March 25. 10 Biomimetic and Responsive Biomaterial Hydrogels for Regenerative Medicine; Jennifer Patterson, KU Leuven; 2 p.m.; rm. 123C, Abramson Pediatric Research Center (CHOP). 16 3-D Bioprinting and its Application to Regenerative Medicine; Daniel Grande, Feinstein Institute for Medical Research; noon; rm. 123C, Abramson Pediatric Research Center (CHOP). The January AT PENN calendar is now online. The deadline for the February AT PENN calendar is January 16. Celebrated avant-garde trumpeter/composer Peter Evans and three members of his band join up with the Relâche New Music Ensemble, in residence at the Penn Museum, for Not So Quiet City, on Sunday, January 14 at 2 p.m.
Mr. Evans, the recipient of this year’s Dina Wind Commission, is renowned for his eclectic palette, collaborative spirit, and virtuosic playing. 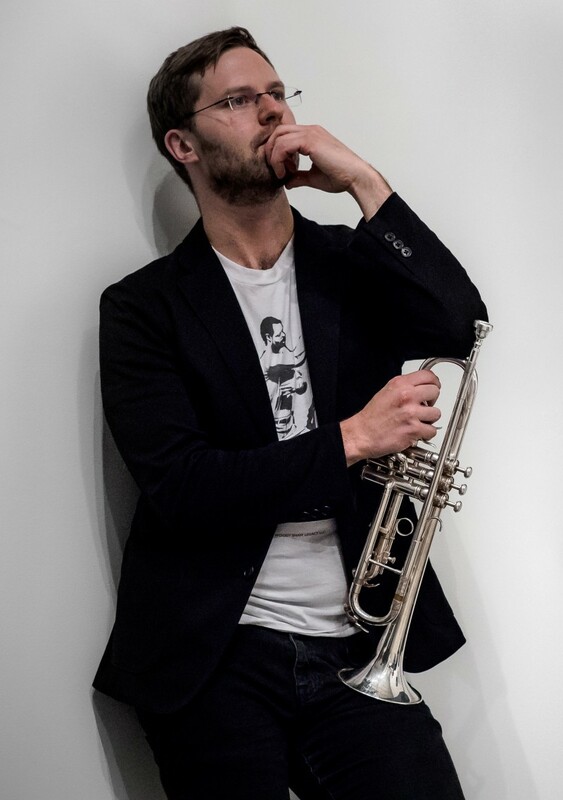 Improvisation and experimentation will permeate the concert’s program. In addition to some of his own improvisational compositions, the program includes Pauline Oliveros’ The Well, Chuck Holdeman’s Mural Music, a 2014 collaboration with Mural Arts Philadelphia, and a Relâche version of Aaron Copland’s Quiet City. Ms. Oliveros’ The Well was originally composed for Relâche in 1983. Performers are given a musical palette from which to spontaneously create, and instructions on how to interact with one another, resulting in a sublime, unique sound every time the piece is performed. Relâche bassoonist Chuck Holdeman wrote Mural Music to accompany artist Shira Walinsky’s Southeast by Southeast mural, which celebrates the experiences of refugees from the Himalayan region who now live in South Philadelphia. Aaron Copland’s Quiet City closes the first half of the program, showcasing the improvisatory talents of both Relâche English horn player Lloyd Shorter and guest artist Mr. Evans over an achingly beautiful arrangement of Copland’s original music. Mr. Evans takes over the second half, first showcasing his band, which includes Relâche keyboardist Ron Stabinsky as well as violinist Mazz Swift, percussionist Shayna Dunkelman, and bassist Moppa Elliot. The program ends with Mr. Evans’ new piece for Relâche, the Dina Wind Commission for this third annual Dina Wind Memorial Concert. Dina Wind (1938-2014) was a Philadelphia artist, philanthropist, and ardent Relâche supporter and board member whose endowment fund supports this program. Not So Quiet City is presented in the Widener Hall of the Penn Museum, 3260 South Street. Tickets are $20 general admission; $15 for seniors; $10 for Penn Museum members; and $5 for students with ID, with an accompanying student free. Tickets may be purchased online in advance at www.penn.museum, or at the door subject to availability. Tickets may be used to enter and explore the Museum galleries any time after 1 p.m. on the day of the concert. About the Crime Report: Below are all Crimes Against Persons, Property and Crimes Against Society from the campus report for October 25, 2017-October 31, 2017. View prior weeks' report. —Ed. This summary is prepared by the Division of Public Safety and includes all criminal incidents reported and made known to the University Police Department between the dates of December 25-31, 2017. The University Police actively patrol from Market St to Baltimore Avenue and from the Schuylkill River to 43rd St in conjunction with the Philadelphia Police. In this effort to provide you with a thorough and accurate report on public safety concerns, we hope that your increased awareness will lessen the opportunity for crime. For any concerns or suggestions regarding this report, please call the Division of Public Safety at (215) 898-4482. Below are the Crimes Against Persons from the 18th District: 1 incident (1 aggravated assault) with 1 arrest was reported between December 25-31, 2017 by the 18th District covering the Schuylkill River to 49th Street & Market Street to Woodland Avenue. 1. Avoid icy walkways, as animals can slip and pull muscles and ligaments. Slips and falls also can aggravate existing conditions like hip dysplasia. 2. When snow is deep, clear an area where your dog can relieve itself. Many dogs, particularly small ones, will not relieve themselves in deep snow. 3. After a walk, wash and dry your dog’s paws. Salt and other material spread on sidewalks cause irritation to the feet. 4. Do not leave dogs outside for extended periods of time. Water in bowls can freeze when left outside, preventing your pet’s access to water. 5. When shoveling snow, keep dogs away. Many dogs like to jump at snow as it flies from the shovel. They may run into the sharp edge of the shovel and get cut. 6. Antifreeze has a sweet odor and taste that seems to lure animals. A very small amount of the liquid can be lethal to cats and dogs. If an animal has had contact with contaminated surfaces, seek veterinary attention immediately. 7. Because cats like to hide under the hoods of cars during cold weather, thump the hood a few times before entering a vehicle and turning the key. 8. Short-coated and small-breed dogs should wear a sweater or a coat to keep warm outside.